Airbus Helicopters has increased its global customer base with the first order from Derazona Helicopters in Indonesia, which is acquiring a fully-equipped AS350 B3e for utility missions. Derazona Helicopters, a leading helicopter operator in Indonesia, has been providing services that range from transportation for the oil and gas industry to medical evacuation, aerial filming, charters and tourism flights. For the first time in more than 40 years of operation, Derazona Helicopters is expanding its scope of activities to include utility missions, and has decided to make their very first Airbus Helicopters purchase. The single-engine rotorcraft member of Airbus Helicopters’ Ecureuil family will be delivered to the Indonesian operator this December, with its duties including transporting external cargo loads, long-line operations, firefighting and general heli-lift missions. There are 17 Ecureuil family helicopters operating in Indonesia today, and the AS350 is recognized as the most successful and reliable helicopter in Indonesia’s utility market, demonstrating its performance and efficiency in the country’s hot and high environments. These rotorcraft are backed by Airbus Helicopters’ wholly-owned subsidiary in Indonesia, established in 2008 to provide in-country support for both governmental and civil customers. Last year, it opened its own service center in Jakarta – the first such center owned and operated by an international helicopter manufacturer in Indonesia – offering additional resources and employing a team of highly-qualified technicians dedicated to providing local customer support. The AS350 B3e is a high-performance, light single-engine helicopter adapted for extreme operating conditions, including at very high altitudes and temperatures , and has the capability to transport heavy loads and perform a wide variety of missions. 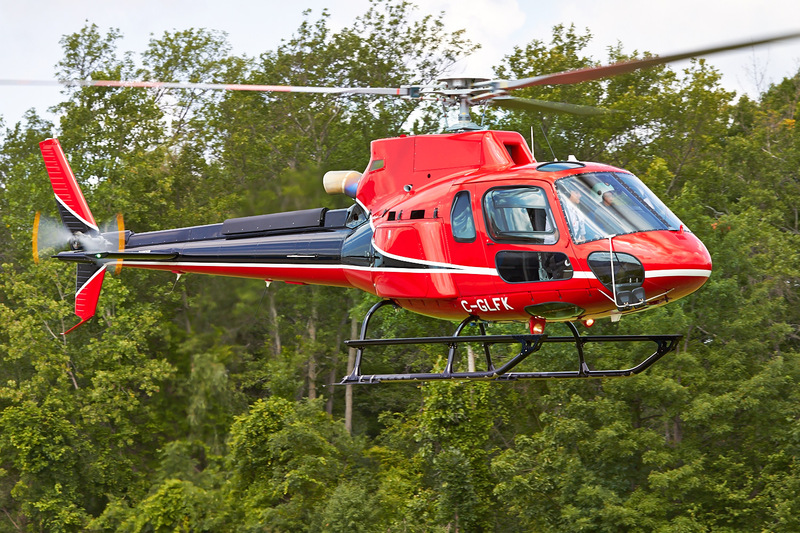 As an enhanced version of the AS350 Ecureuil, it features an improved engine and new interior design, for additional ease of piloting and maintenance.